Let me begin by saying that I am not a writer, I am just a "movie man," as they called me out there. --Lieutenant Geoffrey Malins, How I Filmed the War, 1920. Another incredible figure from the war and cinema files: Lieutenant Geoffrey Malins, who was one of the British War Office's official "Kinematographers." From reading his extraordinary account, How I Filmed the War, which was published in 1920, it became clear to me that Malins felt immense responsibility both to Britons on the front and at home. He describes himself as being obligated to make the war real for those who have no firsthand access to it, and as being similarly charged with recording this cataclysmic experience for posterity. Thus, he had a duty to his country and somehow also to the war as an historical event. Malins's sense of history unfolding around him is quite evident. He is aware of the role that he and his camera play in creating that history, furthermore, in 'making' the war in cinematic form. Although he rarely waxes deeply theoretical about his work, Malins was dedicated to capturing imagery and incident at all costs. His revelation of the dangers that he faced is striking and unsettling. Reading of his many treacherous ordeals and bitter hardships, it is hard for us to imagine his experience. For Malins too, it was difficult sometimes to maintain a sense of reality. Hearing soldiers singing Christmas carols amid the sound of guns and the hectic light of "star-shells" on Christmas evening, 1915, Malins writes that it was hard to believe that "we were in the terrible throes of war" (64). And his encounters with "scenes" (unsurprisingly, a favorite term) of devastation seem to press past his ability to describe them in words or images. There are times, furthermore, when Malins's light touch on his drastic conditions make me wonder whether I'm not actually reading a P.G. Wodehouse story about (the incomparable) Jeeves and Wooster instead. Malins's filming had to navigate a middle ground between the innocence of those at home who knew nothing of the war's true horror and the almost indescribable destruction and tragedy of the battlefields. The lens of his camera was directed at what lay immediately before him but also at the broader horizons of history, and Malins was under considerable pressure to film the war that the British government wanted the civilian populace to see. While his footage testifies to some of the visual realities of the front, creating the portrait of a crisis, his memoir reinstates the man behind the movie camera. It allows us to perceive the more individualized emotional and physical experiences of an "Official War Office Kinematographer." "First World War: Who's Who: Geoffrey Malins"
Malins, Geoffrey H. How I Filmed the War: A Record of the Extraordinary Experiences of the Man Who Filmed the Great Somme Battles, etc. London: Imperial War Museum Department of Printed Books, 1999 (orig. published 1920). A title from "The Life Story of David Lloyd George," 1918. 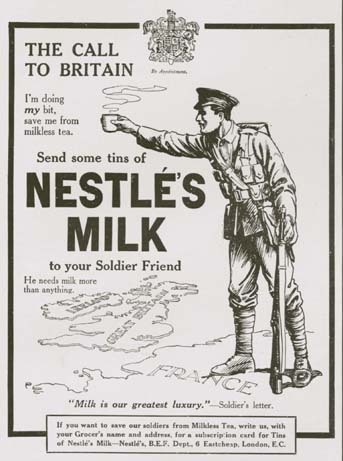 In tracing the relationship between modernist and popular biography in the war years and after, I've been working a lot on ways in which Britons tried to refashion the life writing genre at this time. New Biographers (British modernists working on life writing) looked to newer media (film, photography, radio) of the day for inspiration, some feeling that a cinematic approach was the most fitting way to depict a subject. But can text successfully emulate other media? Can it borrow the qualities of film, for example? This is a big question in general, but within the scope of my project, I am interested in biographers who imagined ways of writing lives that felt more lifelike or of (re)creating more human subjects. And, in considering film and life narratives of this era, I would be remiss in forgetting Maurice Elvey's "The Life Story of David Lloyd George," an incredible early British biopic (perhaps the first?) that, though filmed in 1918, was lost for decades until a copy--the copy--was found in Wales in 1994. After restoration, it premiered in 1996. 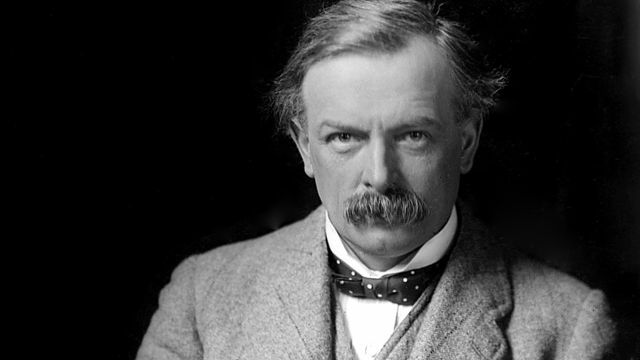 David Lloyd George (1863-1945), Prime Minister of the U.K. from 1916-1922. 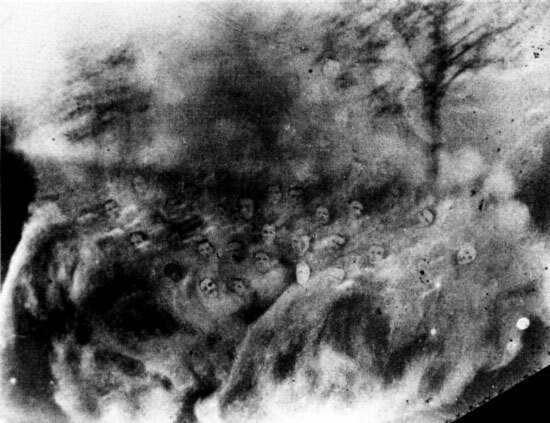 Being someone interested in ghosts (more on that later), I can't help but be fascinated by the fact that this film's original, intended, audience, were a company of ghosts by the time the first frames of Elvey's film were at last projected onto a screen, when the figure of young Lloyd George finally flickered into existence in a darkened theater. His cinematic, biographic, "birth" thus took place too late for Britons of 1918 to have lived to see it--how strangely ironic! The film, which I was lucky enough to see at Yale a couple of years ago, is somewhat sentimental, not exactly New Biographical in nature. It takes a propagandist approach to Lloyd George and traces, as many traditional biographies are wont to do, his 'destiny' as a great British leader from earliest childhood. Narrative in these sorts of life stories is regarded as a structure completely sound and coherent, a sealed arc whose endpoint is clearly charted on the day of its beginning. The lack of innovation in this regard, however, is unsurprising, as Lytton Strachey's groundbreaking quartet of biographies, Eminent Victorians, would only make its appearance and begin to revolutionize the textual biographic genre in 1918. Whatever its nature and intentions, the film was suppressed before its release under what the UK's Moving History calls "mysterious" circumstances. Thought to have been destroyed, the film lingered in a state of suspended animation for nearly eighty years. As an early biopic--perhaps the very earliest--"The Life Story of DLG" remains fascinating and its attempt to capture a life narrative in cinematic form, to map the will-o'-the-wisp aspects of any person's earthbound journey onto the progressing frames of film, as well as this particular film's own death and rebirth, are definitely worth exploring. 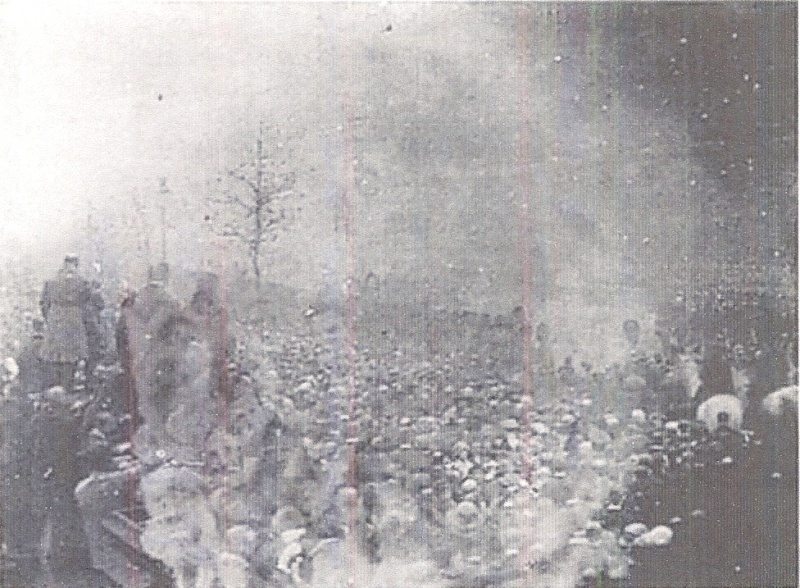 This is the beginning of my new First World War research blog, "Ghosts of 1914." I am a Yale University graduate student completing a Ph.D. dissertation on British life and history writing of the Great War era. This project was born out of a love of the material, textual, and cultural artifacts that I have encountered in my work on the relationship between individual and national narratives of a modern crisis. I am a bookish creature whose native habitat comprises libraries, archives, and museums. My blog is meant to be a cabinet of curiosities and wonders--some possessed of strange beauty, others marked by poignant tragedy. I hope to share with you some of my passion for the history of the Great War and what it can teach us, who live in an era of conflict ourselves, about the experience and costs of combat. It is my hope that studying war will teach us to love and seek peace.